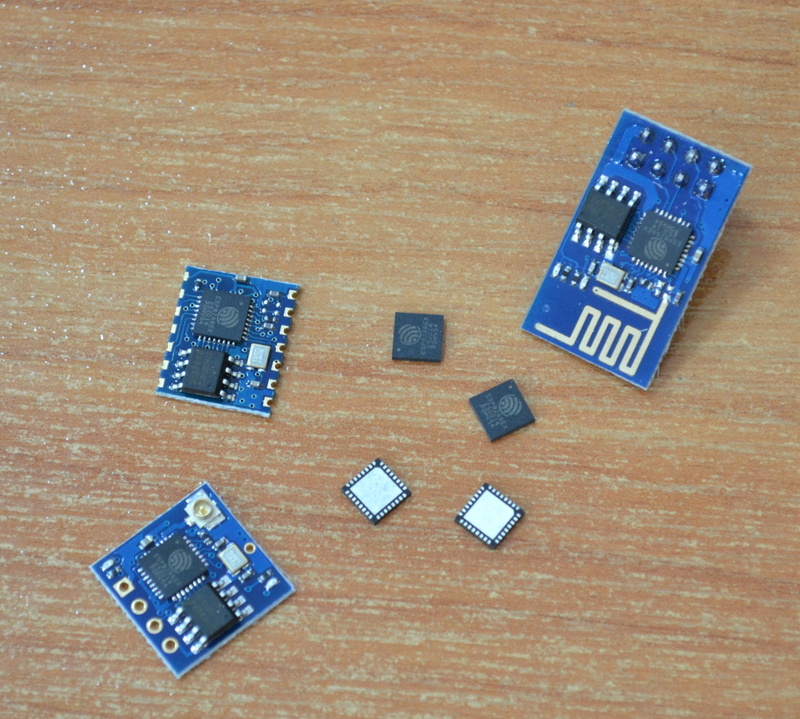 Recently we blogged about the new ultra low cost UART to WIFI modules based on ESP8266 ICs. Today the WIFI modules and sample chips arrived so we can finally test them. One problem I see is that there are no official schematic with components with values nor reference design. We are going to change this as we already got 3 different modules and the components around ESP8266 are not so many, so we will capture the schematic and make reference PCB layout in the next few days. I would definetly like to see this on some of your boards. So, have you been able to tell if the chip is 5v tolerant or will we need a level shifter? I’ve been looking for cheap wifi modules for arduino for a while. There is now a ESP8266 that might do what I want for a reasonable price. Seeedstudio sells it and are about to write some documentation for it. There is now GCC for it and people managed to compile a blinking LED with TCP server. Any news about ESP8266 reference design for Eagle ?